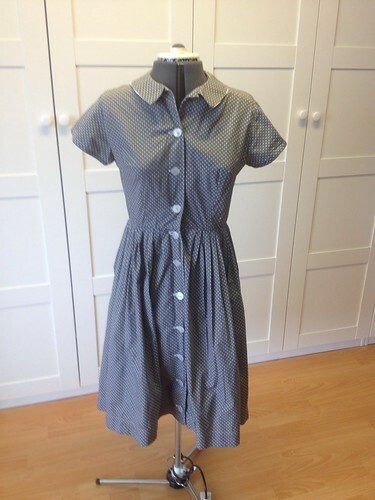 Let’s take a quick break from Vogue 9929 for a blast from the past: Simplicity 5232! This was part of my fabric haul from Japan. 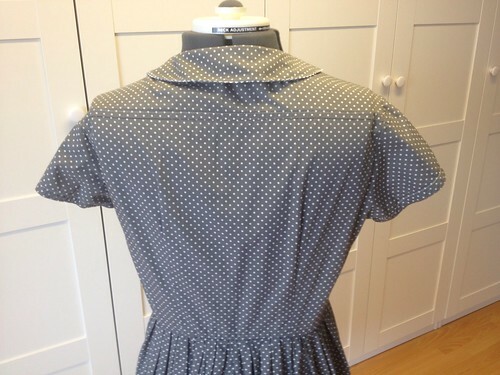 I still have several pieces from that haul I haven’t even sewn up yet … and one I just used a couple of weeks ago. 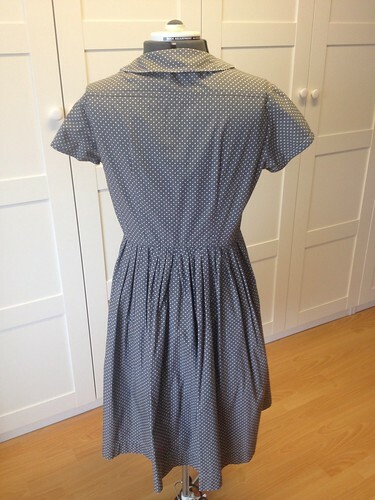 Looking at this dress again makes me want to make another Simplicity 5232 … it’s going on the list. Shirtdress Chic, I’ve never managed it. I like everything about that one except the buttons. But since I’m a part time Koumpounaphobe, we won’t get into that. 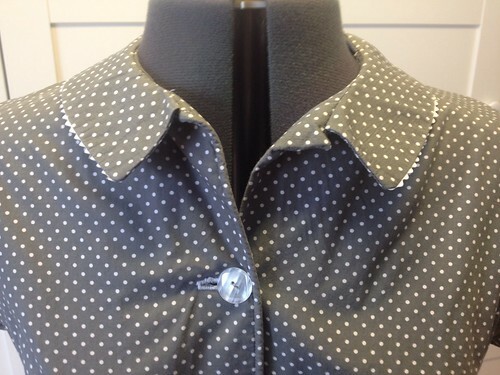 wow; I had to look up Koumpounaphobe, and then realized that even though I make lots of clothing for myself, my son, and others, I cannot remember the last time I made something with buttons. front seam piping does it for me. 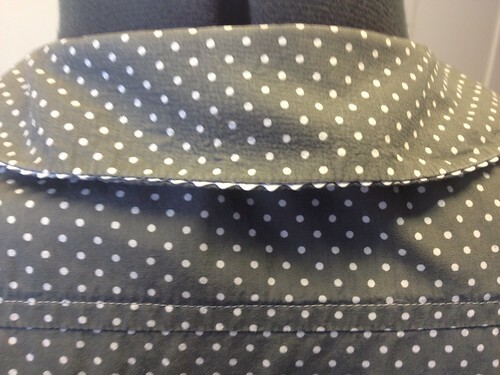 Like the dots, like the rickrack, like the cording, and, I’m sure, the pockets, even though you didn’t mention them. Having read many of your posts, I would be amazed if there weren’t pockets! Am really enjoying the 100 dresses, it’s a fun journey and going so fast! Love it, rickrack, piping, all of it. 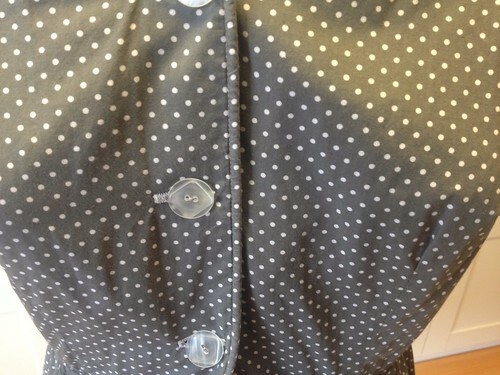 Though am wondering why the buttons/holes don’t get a mention when your zips always do? Are you fastening-ist? I’d be terrified of getting that many buttons all lined up correctly, way more than I’d worry about a zip that’s hiding under my arm…so do share how you did it! (don’t worry I still have plenty left) #haha! !